Aside from Christ, I find Paul to be perhaps the most interesting and profound man in all of scripture. 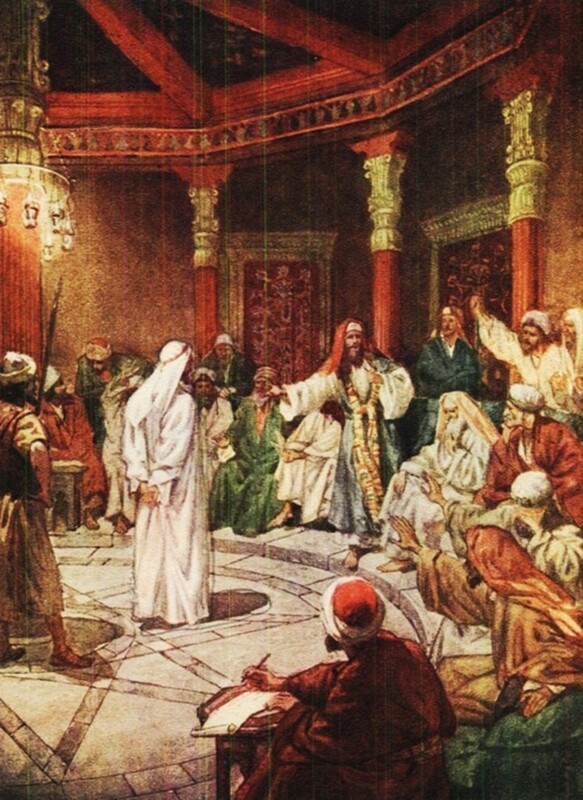 His unique background as both a Roman citizen and a Pharisee made him a unique and powerful choice by God to be a witness and minister to the Gentile nations. Paul had gone from being a chief persecutor of the church, to perhaps its greatest proponent. His epistles have literally shaped the Christian church into what it has become today as his numerous letters have given us much insight into what was being taught to the early believers. 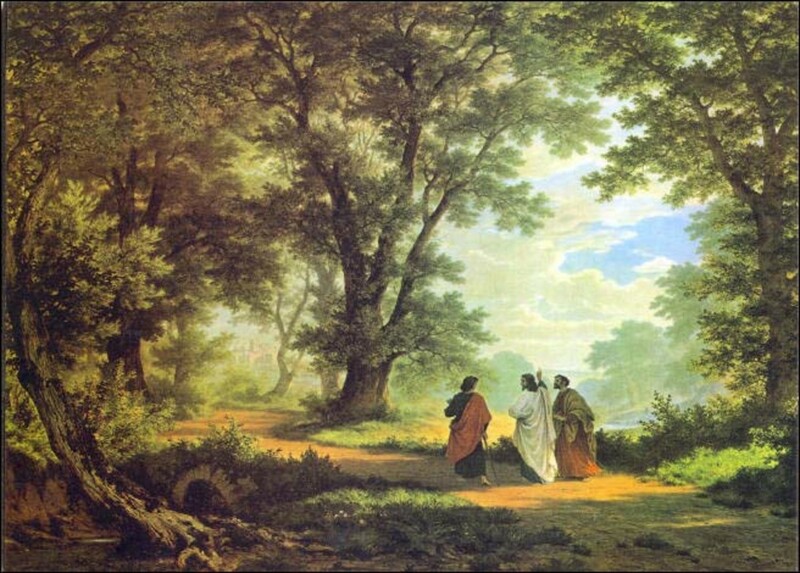 Unlike the original twelve disciples, Paul was well-educated and extremely familiar with the law, psalms and prophets. 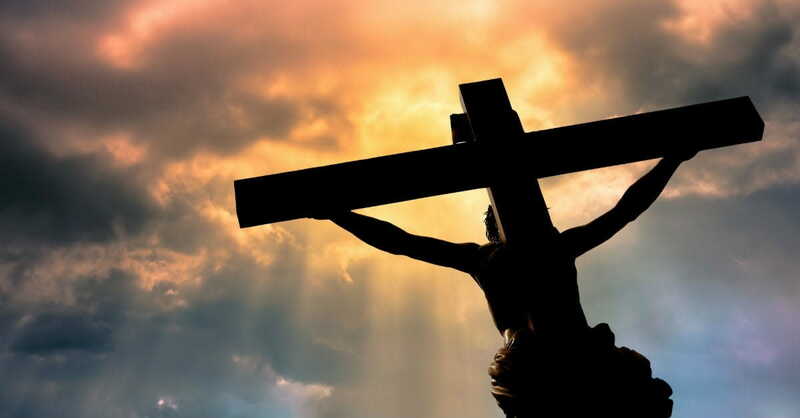 It is from his unique perspective that are able to understand how Christ was the fulfillment of what was written in the ancient texts. I am fascinated by all of the writings of Paul, but one phrase that Paul used has always stuck out in my mind as being a bit puzzling, at least from my western mindset, is the insult that he hurled at Ananias, the high priest, when he had been brought before the Jewish council in Acts 23:3. 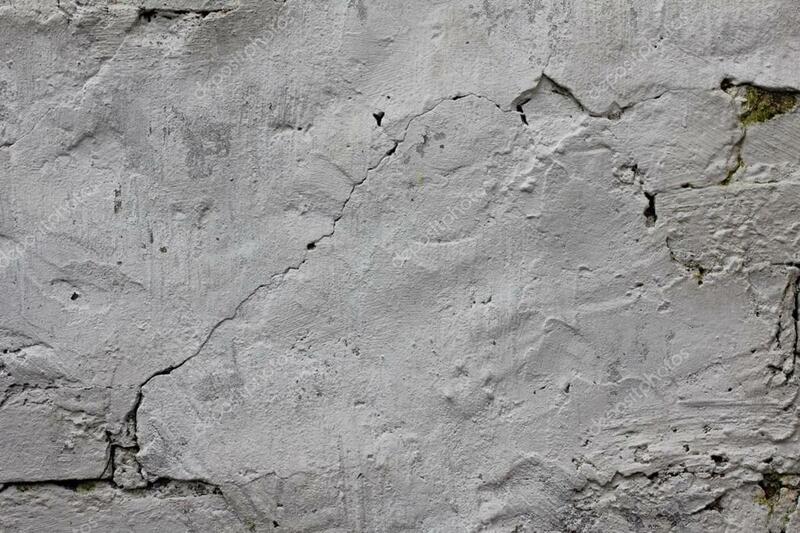 After being struck on the mouth Paul proclaimed “God is going to strike you, you whitewashed wall!”. Honestly, if I were going to make a statement after being undeservedly struck on the mouth, I could probably come up with a multitude of things to say that would seem a bit more pernicious than “you whitewashed wall”, or could I? What led up to this incident? Before we delve into into this, let’s set the table a bit with more context and refresh our memories as to what had brought about this incident to begin with. Paul had just returned to Jerusalem after preaching the gospel to the gentile nations. His friends had pleaded with him not to go to Jerusalem because it was obvious that Paul showing up in Jerusalem, the very capital of Judaism, was a risky venture. Paul must have seemed like a traitor of the highest order to the Jewish leadership as he had been in the innermost circle of the Jewish religious hierarchy and was now perhaps the most wanted man by those whom he had forsaken. No doubt, Paul had been a wanted man ever since his conversion near Damascus years before. After arriving in Jerusalem, Paul was strongly encouraged to partake in the Jewish purification customs and go to the temple and offer sacrifice. There had been a rumor among the Jews in Israel that Paul had been telling the Jews that lived abroad that they should forsake the law of Moses which would have further angered the Jews. 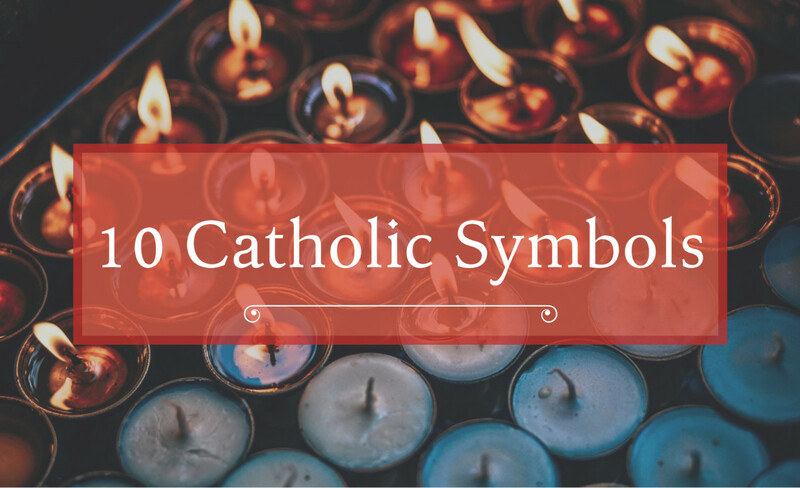 Paul partaking in these customs might have been seen as a way to demonstrate that he was still loyal to his religious heritage. Towards the end of the seven days of purification, some men from Asia recognized Paul and began to stir up a commotion telling the men of Israel that Paul had been preaching against the law and temple. But, perhaps the most damning thing that they accused Paul of was that he had brought Trophimus, the Ephesian into the temple, thus defiling it. One has to keep in mind that for the Jew, it was an abomination for an uncircumcised Gentile to enter into the temple grounds, so this was a heinous violation of the law to them. This accusation stirred the crowd into a frenzy and they sought to kill Paul, but he was rescued from the crowd by the Roman soldiers. 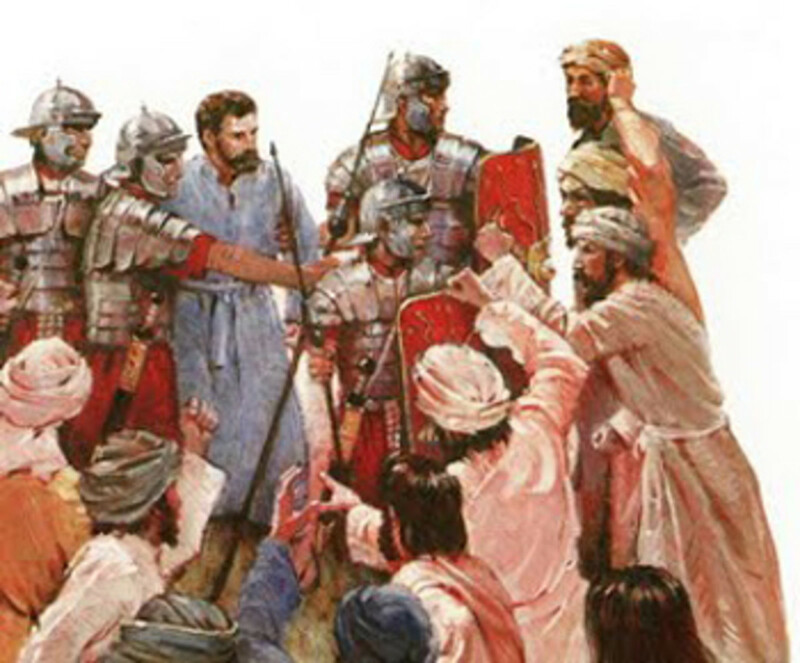 Before being taken into the Roman barracks, Paul is allowed by the soldiers to give a speech in his own defense to the crowd that had gathered there. Paul spoke about his religious upbringing, his dedication to the law as a Pharisee and about his conversion experience. They were apparently receptive to Paul’s words until he made mention of Christ telling him to go to the Gentiles. At that point they became outraged and demanded Paul’s life. When the crowd had again become unruly, the Roman soldiers finally took Paul into the barracks for Paul’s own protection. The next day Paul is brought before the Jewish council, this is where we get to Paul’s pointed words. Notice that Paul really didn’t say very much before being struck, he merely exclaimed that he had lived in according to good conscience before God until that day. Ananias apparently disagreed. Ananias had ordered Paul to be struck without hearing his full testimony and without hearing from any witnesses in the presence of Paul, thus he acted contrary to the law. Did Ananias find that Paul had lived his life in violation of the law, had Paul been preaching against the temple or was Ananias furious that Paul was preaching inclusion of the Gentiles? Probably all of the above. Ezekiel 13:1 Then the word of the Lord came to me saying, 2 “Son of man, prophesy against the prophets of Israel who prophesy, and say to those who prophesy from their own inspiration, ‘Listen to the word of the Lord! 3 Thus says the Lord God, “Woe to the foolish prophets who are following their own spirit and have seen nothing. 4 O Israel, your prophets have been like foxes among ruins. 5 You have not gone up into the breaches, nor did you build the wall around the house of Israel to stand in the battle on the day of the Lord. 6 They see falsehood and lying divination who are saying, ‘The Lord declares,’ when the Lord has not sent them; yet they hope for the fulfillment of their word. 7 Did you not see a false vision and speak a lying divination when you said, ‘The Lord declares,’ but it is not I who have spoken?”’” 8 Therefore, thus says the Lord God, “Because you have spoken falsehood and seen a lie, therefore behold, I am against you,” declares the Lord God. 9 “So My hand will be against the prophets who see false visions and utter lying divinations. They will have no place in the council of My people, nor will they be written down in the register of the house of Israel, nor will they enter the land of Israel, that you may know that I am the Lord God. 10 It is definitely because they have misled My people by saying, ‘Peace!’ when there is no peace. And when anyone builds a wall, behold, they plaster it over with whitewash; 11 so tell those who plaster it over with whitewash, that it will fall. A flooding rain will come, and you, O hailstones, will fall; and a violent wind will break out. 12 Behold, when the wall has fallen, will you not be asked, ‘Where is the plaster with which you plastered it?’” 13 Therefore, thus says the Lord God, “I will make a violent wind break out in My wrath. There will also be in My anger a flooding rain and hailstones to consume it in wrath. 14 So I will tear down the wall which you plastered over with whitewash and bring it down to the ground, so that its foundation is laid bare; and when it falls, you will be consumed in its midst. And you will know that I am the Lord. 15 Thus I will spend My wrath on the wall and on those who have plastered it over with whitewash; and I will say to you, ‘The wall is gone and its plasterers are gone, 16 along with the prophets of Israel who prophesy to Jerusalem, and who see visions of peace for her when there is no peace,’ declares the Lord God. The context of this prophecy was concerning those who spoke “peace and safety” even though God had proclaimed that Babylon would destroy the city and make the inhabitants of Jerusalem exiles in a land that the did not know. God had sent both Jeremiah and Ezekiel to warn the Jews that God’s wrath was soon upon them for disobeying the covenant and turning to other God’s. These false prophets were compared to a flimsy wall around the city that had been whited over it to give it the appearance of splendor. It was a wall that would not withstand the soon-coming wrath of God. They made the matter look yet more plausible and promising; they daubed the wall, which the first had built, but it was with untempered mortar, sorry stuff, that will not bind nor hold the bricks together; they had no ground for what they said, nor had it any consistency with itself, but was like ropes of sand. They did not strengthen the wall, were in no care to make it firm, to see that they went upon sure grounds; they only daubed it to hide the cracks and make it look well to the eye. And the wall thus built, when it comes to any stress, much more to any distress, will bulge and totter, and come down by degrees. 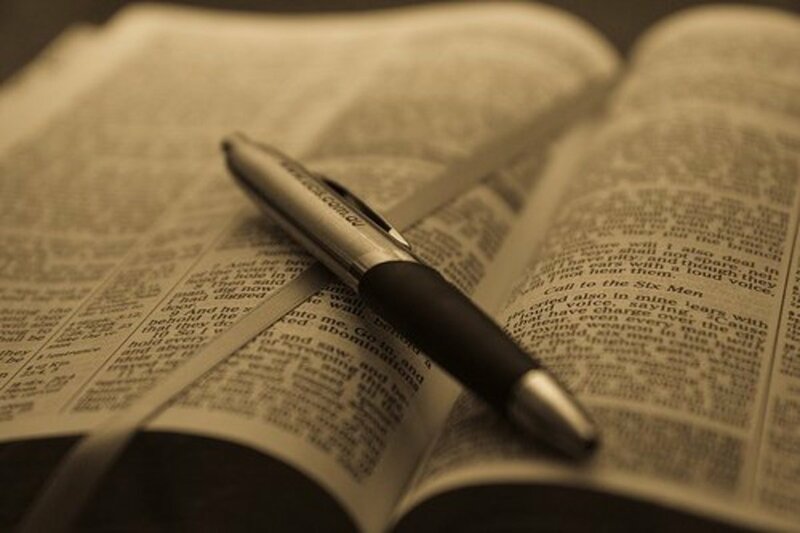 Note, Doctrines that are groundless, though ever so grateful, that are not built upon a scripture foundation nor fastened with a scripture cement, though ever so plausible, ever so pleasing, are not of any worth, nor will stand men in any stead; and those hopes of peace and happiness which are not warranted by the word of God will but cheat men, like a wall that is well daubed indeed, but ill-built. So, the false prophets were stating that Jerusalem was to remain safe despite God’s warnings that they would have to pay for their disobedience. Their words were like whitewash plaster on walls that were doomed to fall. In this prophecy you will notice terminology that is also found in the book of Revelation, terms like “flood” and “hailstones”. It doesn’t require much deductive reasoning to realize that these terms in Ezekiel 13 mean destruction, specifically the destruction of Jerusalem by the hands of Babylon. You might be thinking that it is a pretty loose correlation to say that Paul is pulling from Ezekiel 13 to describe the high priest in Acts 23, but look again. Paul stated “God is going to strike you, you whitewashed wall!”. The context of Ezekiel 13 is of the coming destruction of Jerusalem and I believe that Paul here is affirming the words of Christ concerning the soon-coming destruction of Jerusalem in 70 AD. God used Babylon to carry out His purposes as He also used the Roman armies to carry out is purposes in 70 AD. Can we say that Paul knew of Jerusalem’s doomed fate? Yes, we can! 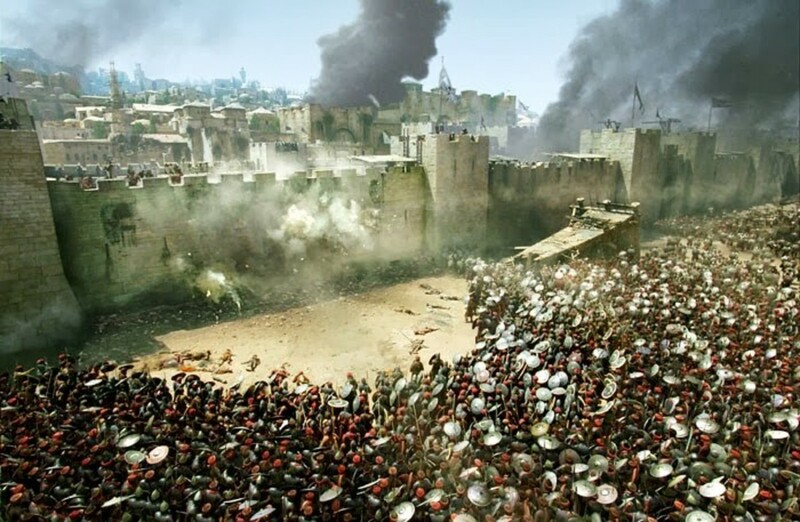 Luke 21:20 “But when you see Jerusalem surrounded by armies, then recognize that her desolation is near. 21 Then those who are in Judea must flee to the mountains, and those who are in the midst of the city must leave, and those who are in the country must not enter the city; 22 because these are days of vengeance, so that all things which are written will be fulfilled. 23 Woe to those who are pregnant and to those who are nursing babies in those days; for there will be great distress upon the land and wrath to this people; 24 and they will fall by the edge of the sword, and will be led captive into all the nations; and Jerusalem will be trampled under foot by the Gentiles until the times of the Gentiles are fulfilled. To say that Christ didn’t prophecy against Jerusalem and the temple during the Olivet discourse would be to completely take His words out of context. 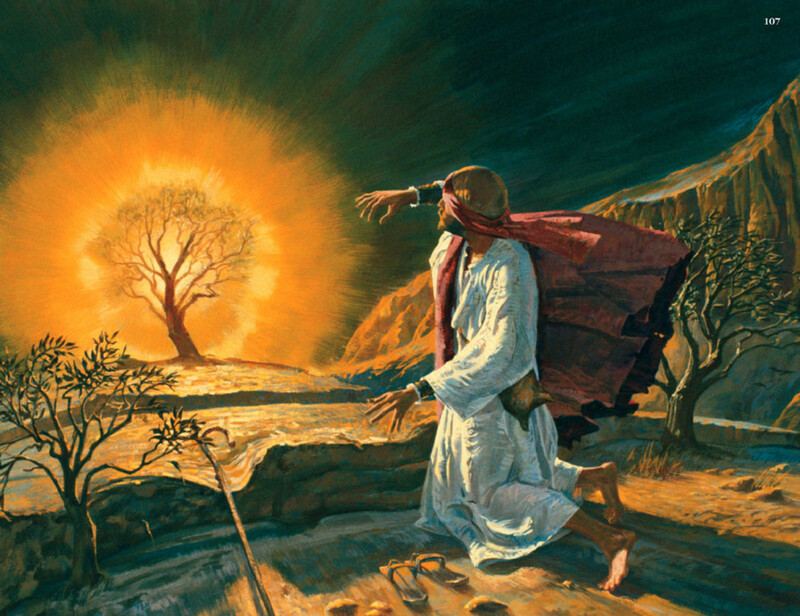 Many Christian theologians today attempt to disregard the Olivet discourse as having anything to do with ancient Jerusalem, but will assert that it ties into end-times events just before the return of Christ. But, Jesus was specifically referring to what we know as Herod’s temple, so the context should be very clear. I am convinced that Paul was quite familiar with what Christ had said concerning Jerusalem’s fate and that Paul knew that the days of Jerusalem, the temple and the earthly priesthood were numbered. It is interesting that it was Paul’s words about going to the Gentiles that caused the men of Israel to become the most enraged. It was God’s intention that Jerusalem would be light on hill, shining to all nations, but instead, the Jews had chosen to keep that light under a basket. It is also interesting that Paul used the term “wall” in showing how Christ has made a way for peace between Jew and Gentile. Ephesians 2:11 Therefore remember that formerly you, the Gentiles in the flesh, who are called “Uncircumcision” by the so-called “Circumcision,” which is performed in the flesh by human hands— 12 remember that you were at that time separate from Christ, excluded from the commonwealth of Israel, and strangers to the covenants of promise, having no hope and without God in the world. 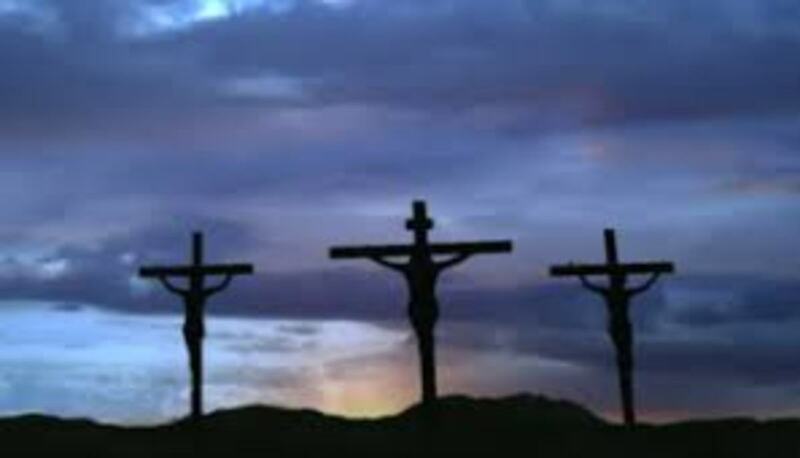 13 But now in Christ Jesus you who formerly were far off have been brought near by the blood of Christ. 14 For He Himself is our peace, who made both groups into one and broke down the barrier of the dividing wall, 15 by abolishing in His flesh the enmity, which is the Law of commandments contained in ordinances, so that in Himself He might make the two into one new man, thus establishing peace, 16 and might reconcile them both in one body to God through the cross, by it having put to death the enmity. 17 And He came and preached peace to you who were far away, and peace to those who were near; 18 for through Him we both have our access in one Spirit to the Father. 19 So then you are no longer strangers and aliens, but you are fellow citizens with the saints, and are of God’s household, 20 having been built on the foundation of the apostles and prophets, Christ Jesus Himself being the corner stone, 21 in whom the whole building, being fitted together, is growing into a holy temple in the Lord, 22 in whom you also are being built together into a dwelling of God in the Spirit. 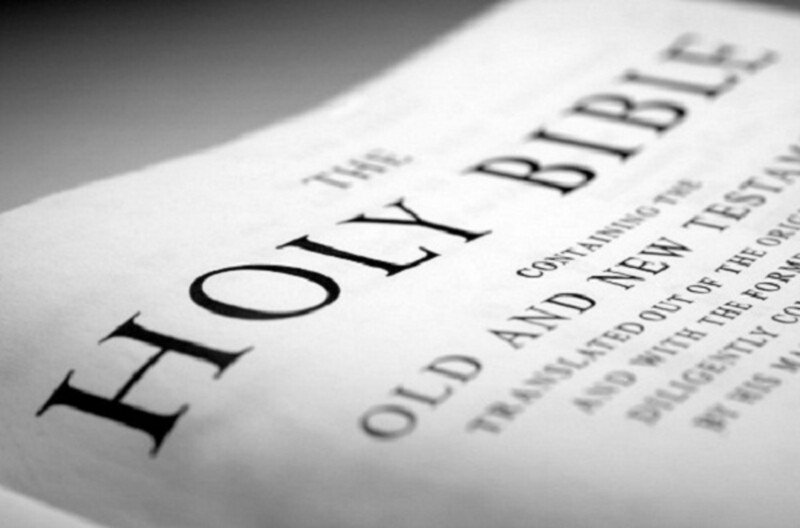 1 Thessalonians 5:1 Now as to the times and the epochs, brethren, you have no need of anything to be written to you. 2 For you yourselves know full well that the day of the Lord will come just like a thief in the night. 3 While they are saying, “Peace and safety!” then destruction will come upon them suddenly like labor pains upon a woman with child, and they will not escape. It would seem as though the same questions concerning the future of the nation of Israel might have been on the minds of those in the church in Thessaloniki as was on the minds of the disciples just before Christ’s ascension, with one major exception. The disciples were, at that time, still expecting the kingdom of Israel to be restored, it was still not yet within their understanding that the kingdom of God had already been established, that they were the foundation stones of that kingdom. The Church in Thessaloniki may have been inquiring about the fulfillment of what Christ had said concerning Jerusalem’s destruction. In summary, I am inclined to believe that when Paul called Ananias a whitewashed wall, Ananias got the message loud and clear. 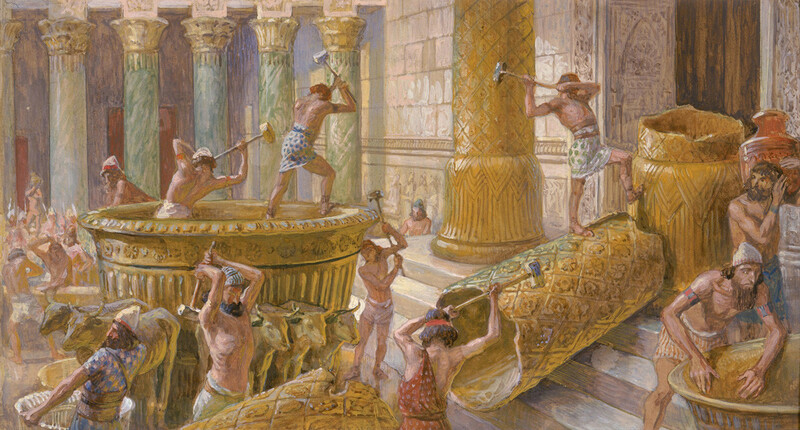 Paul knew that the old temple, priesthood and Jewish nation were coming to an end. As a living stone in the true temple of God, Paul knew that what was former was becoming obsolete and growing old, and was ready to disappear. Did Ananias take to heart what Paul had said? It seems highly unlikely. Thank you, Richard. Yes, I have heard that as well. I did hear one variant that claims that there was one particular fellow who went throughout the city warning everyone to get and ended up being trapped himself due to wanting to ensure that everyone had gotten the message, but I haven't seen any confirmation of that. Jesus did not want His followers to be harmed in the siege, when you rad the Olivet discourse in proper context, it all makes perfect sense. Thank you, KingdomCome. I am glad that you found it worth the read. A very well reasoned exegesis. I've heard that 1st century Christians were so convinced of Jerusalems imminent destruction that none died in its downfall. I agree with Charlie, excellent indeed. Thank you for taking the time to read it, Charlie. Blessings!